With careful planning and a little soul-searching, you’ll get your house remodeling project off to a solid start. Visit us and experience our expansive showrooms we have created in both Orlando and Tampa. Come see our showcase of cabinets, back splashes, flooring, counter tops for kitchen and baths. 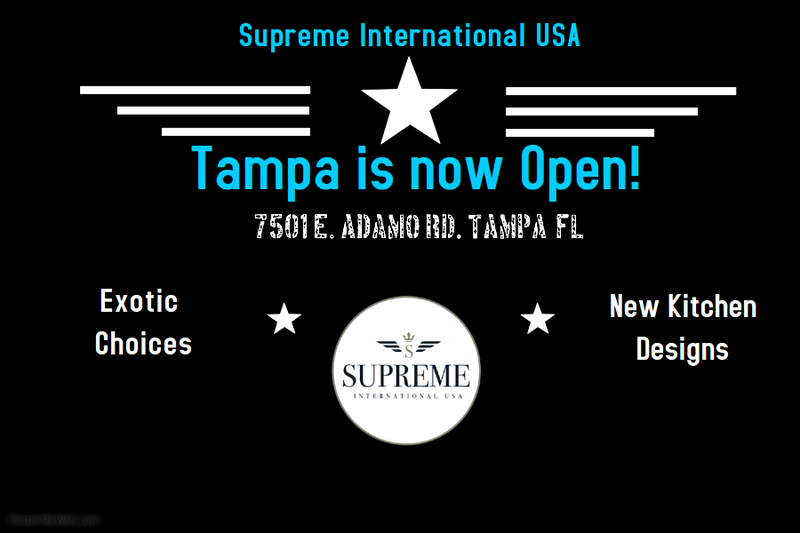 Now’s your chance to reinvent the way you want to look and feel, with the help of Supreme International USA. Stop by at our showroom & slab yards for selection. Call us or fill the form provided aside for a free in home estimate. I have got my 3 bathrooms and kitchen remodeled with Supreme and their expertise and choice of granite has made my kitchen much the envy of my friends and family . Akram took a lot of pain and effort in helping my wife and me with the design and we are very thankful for his insight and knowledge and we would definitely recommend you to anyone who asks . Their prices were very reasonable . Keep up the Good work at Supreme and you folks will sure go a long way . I am in love with my newly remodeled kitchen. Thank you to Frank and Terri for their expertise and patience and allowing me to find a way to make my dream kitchen into a reality at very reasonable pricing. 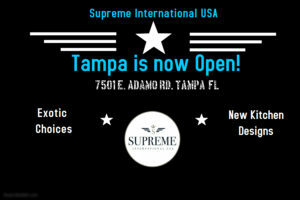 I highly recommend Supreme as the go to place for remodeling your kitchen and bathroom. No one can beat them when it comes to service.